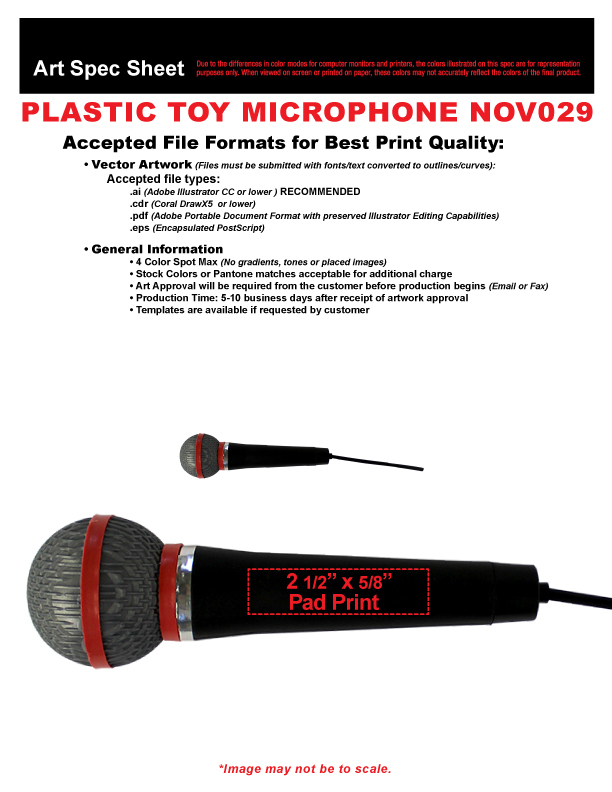 Quick Info: Our 10" Plastic Toy Microphones look realistic and are fun way to promote your music related business. Our 10" black plastic Microphones are priced per microphone. Our 10" Plastic Toy Microphones look realistic and are fun way to promote your music related business. Our 10" black plastic Microphones are priced per microphone.